Browse through our site and choose the product you want to purchase. After you have decided what item you are going to purchase,for wedding package we will be sending reservation contract. For wedding package,you need to pay your 50% downpayment and the balance is upon delivery of your order. You can either give your initial payment by visiting our shop personally or through online payment.We accept payments through LBC,western union or BPI.After your payment,you need to email your scanned deposit slip/receipt to confirm your payment,you will then receive scanned O.R thru email from Dangwaflorist. For single order,like bouquet,funeral wreaths,etc.,you can use the same method mentioned above. 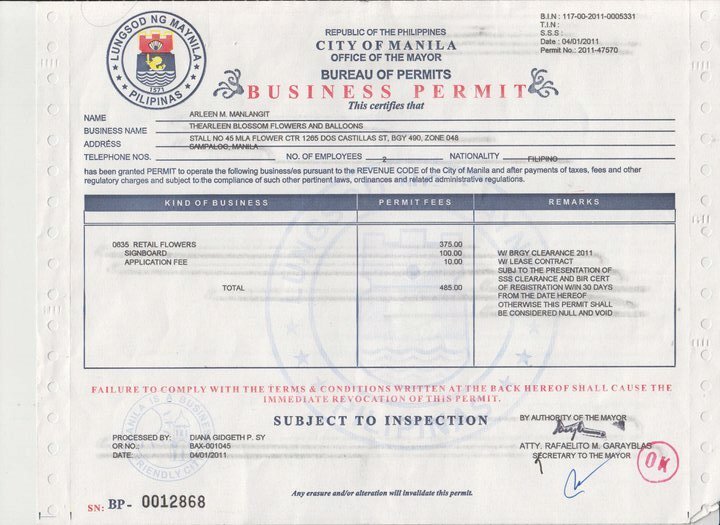 Our Company is a legal company operating in Metro Manila Philippines with all the business documents / permits required by the Philippine government in running a legal business in the Philippines. All orders with in the Philippines or from outside the Philippines are 100% guaranteed safe and with 100% assurance of delivery.